Since its inception in 1991, SimTech Systems revolutionized how systems are simulated. As a reputable leader in simulation and business process modeling, SimTech Systems quickly found much success in the private and public sectors, and as a means to improve simulation and modeling projects, SimTech developed an in-house program that facilitated thinking, organizing information and making everyone more creative. Witnessing firsthand the benefits of this in-house program, SimTech decided to bring it to the global market in January of 1998 as MindMapper. 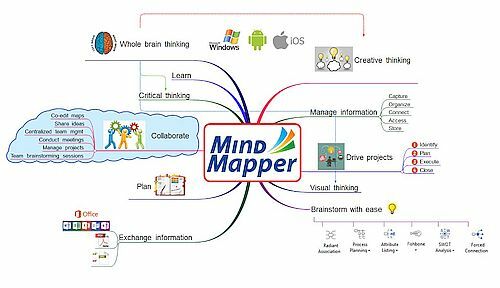 Since then, the program has evolved from simple digital mind mapping software to mind processor, more powerful collaboration tool for ideation and communication, and now goal and schedule management tool. To become a creative thinking software field’s small but strong global enterprise developing high-value, creativity software that will change the world. To this end, we strive ceaselessly to acquire global mindset, global technology, and global business. 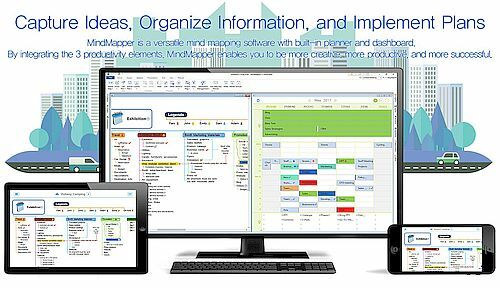 Generate ideas, organze information, and implement plans with MindMapper 17. You can use the built in brainstorming templates to unleash your creativity or simply use the mind map to capture ideas instantly. With many mapping directional flows, you can view information from different angles and make new associations. Topics can be moved around the map easily. You can even have mutliple maps within a map. Powerful and versatile graphics editor allow you to add graphical elements, schedule, files, notes, boundary, flowchart, hyperlink, themes, OLE object and more to organize information and schedule. Export map to differect graphical formats, URL, or to MS Office. 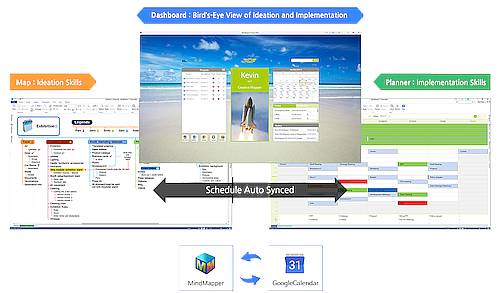 Link schedules from the map to the planner so that activites can be easily tracked and accomplished on a daily basis. Arena and Professional editions are basically the same program except that Professional does not have collaboration module. Collaboration is geared toward business users for team collaboration, project management, and meetings. 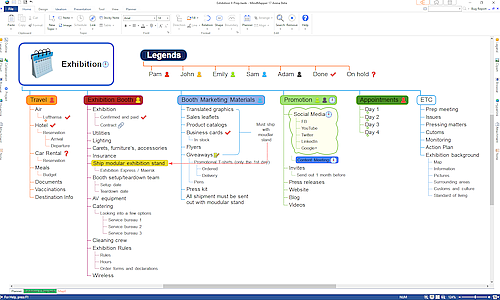 Create and organize information using the mind mapping workspace. Assign schedule to topics and view it in the Gantt chart. Link map to planner or planner events to map. 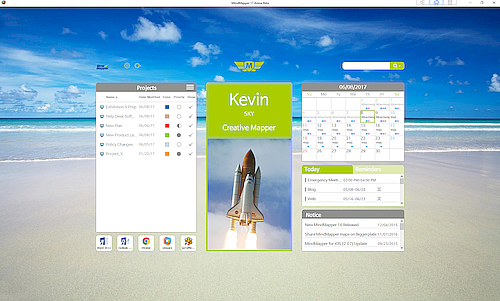 Use the dashboard to manage and access linked maps and the planner. 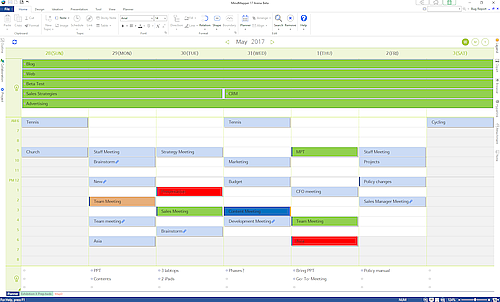 The Planner is a time management tool that fosters project execution.